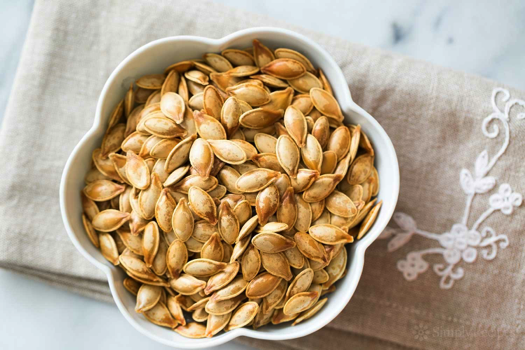 Place pumpkin seeds in a small bowl. Add salt and drizzle with olive oil. Stir to coat. Nutrition: Serving size: 2 ½ tbsp. Calories per serving: 54. Net carbs: 4g Protein: 2g. Fiber: 2g.